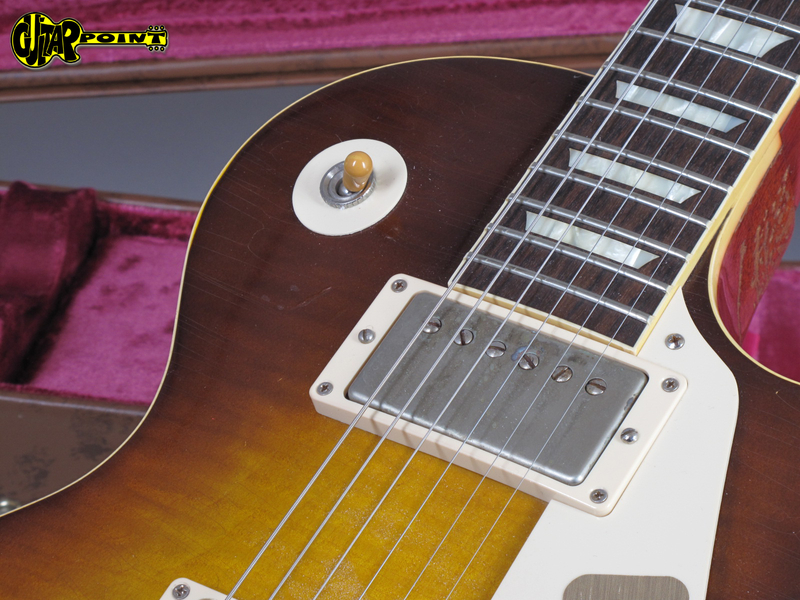 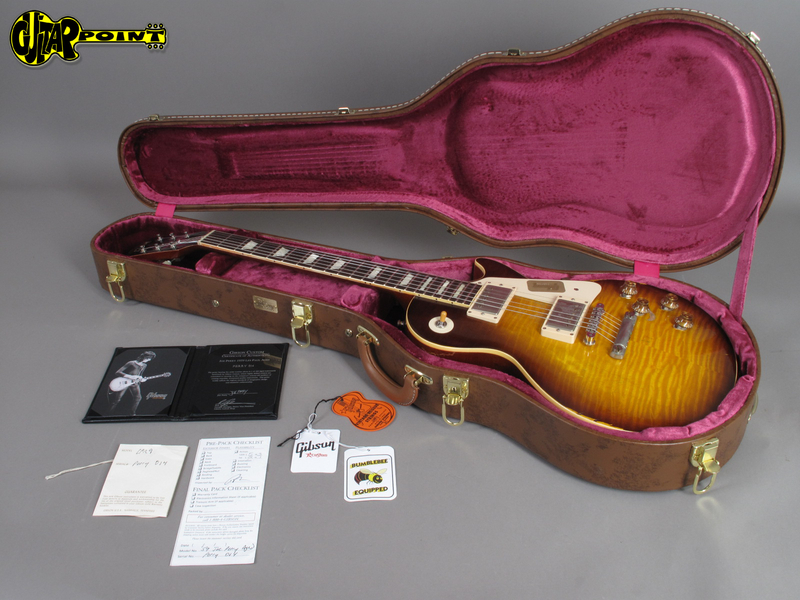 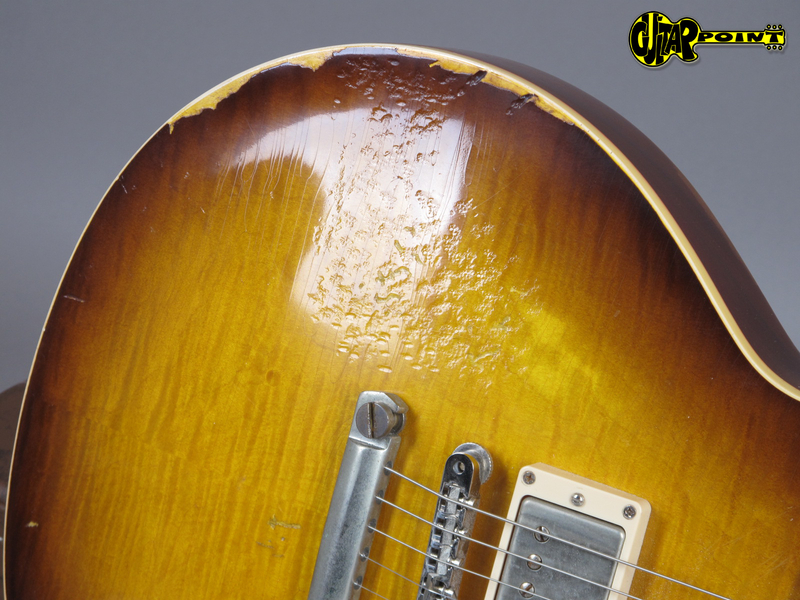 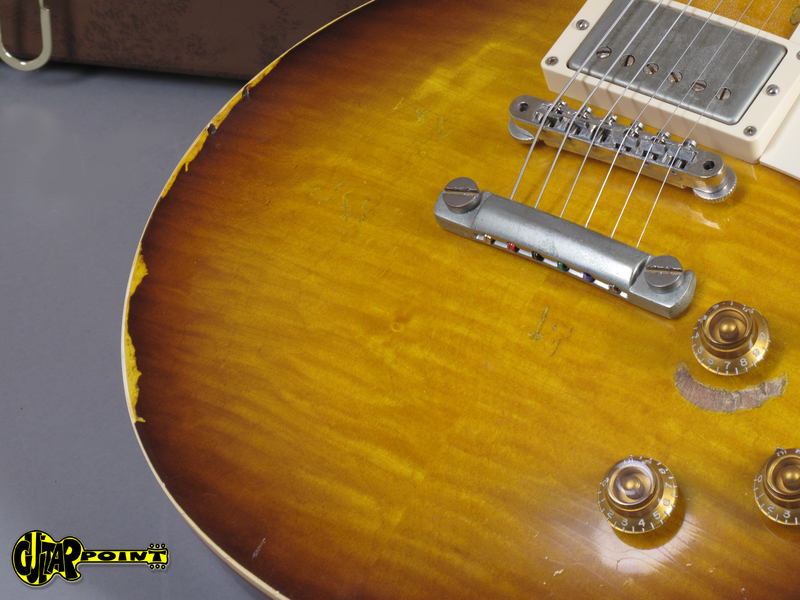 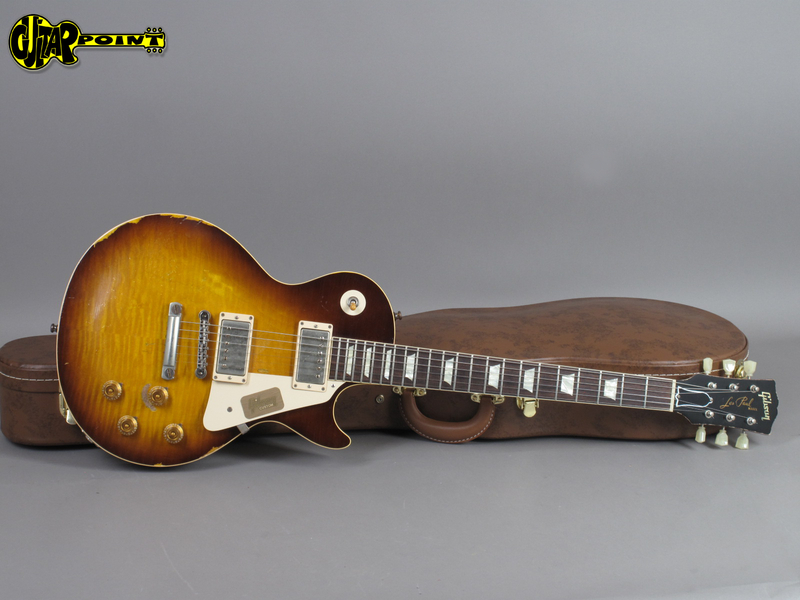 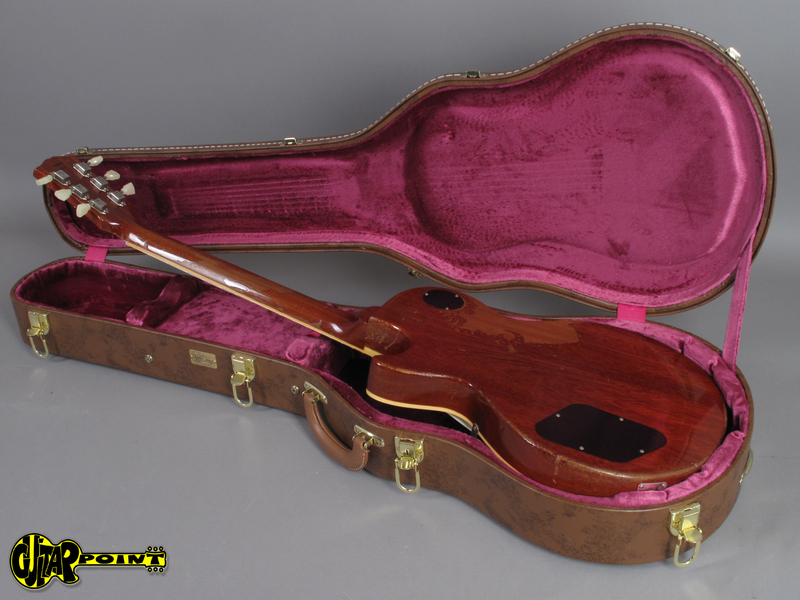 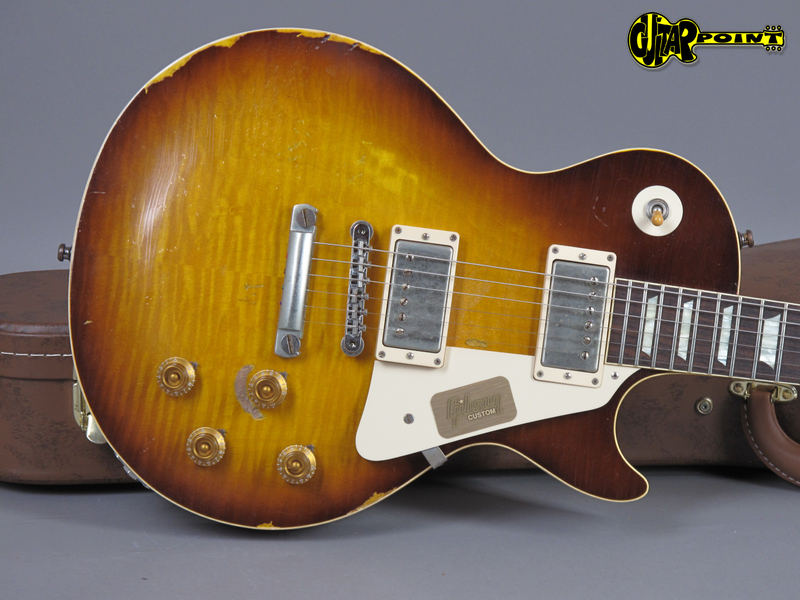 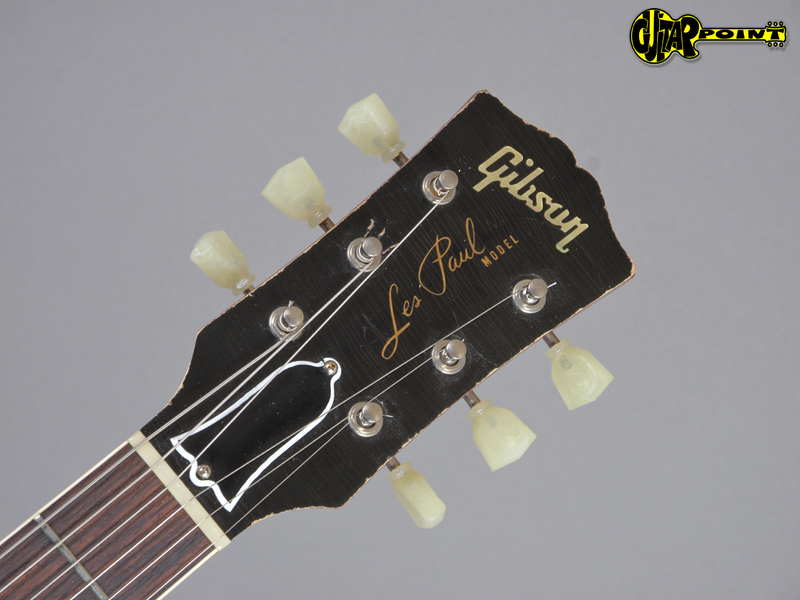 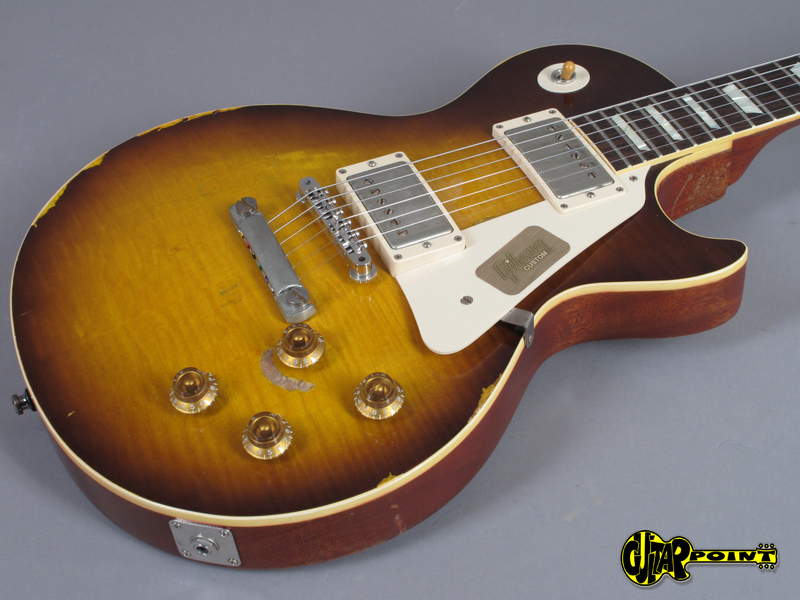 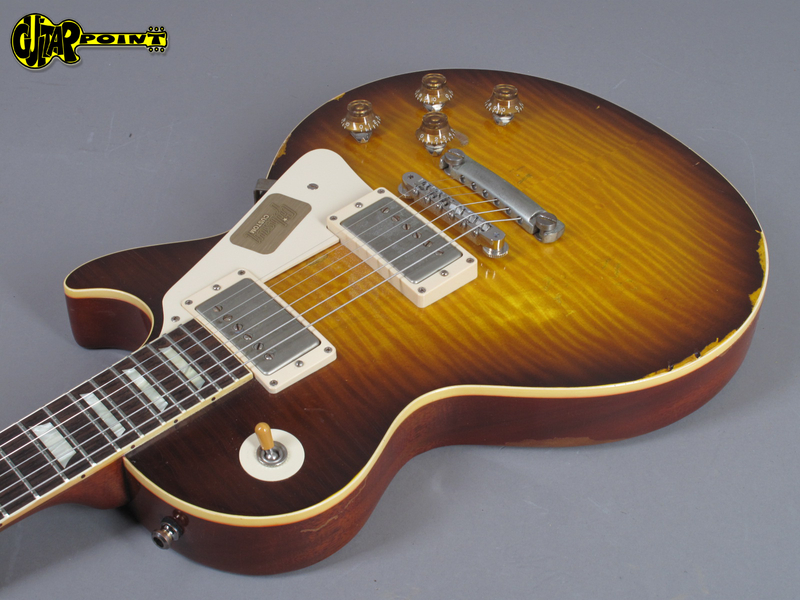 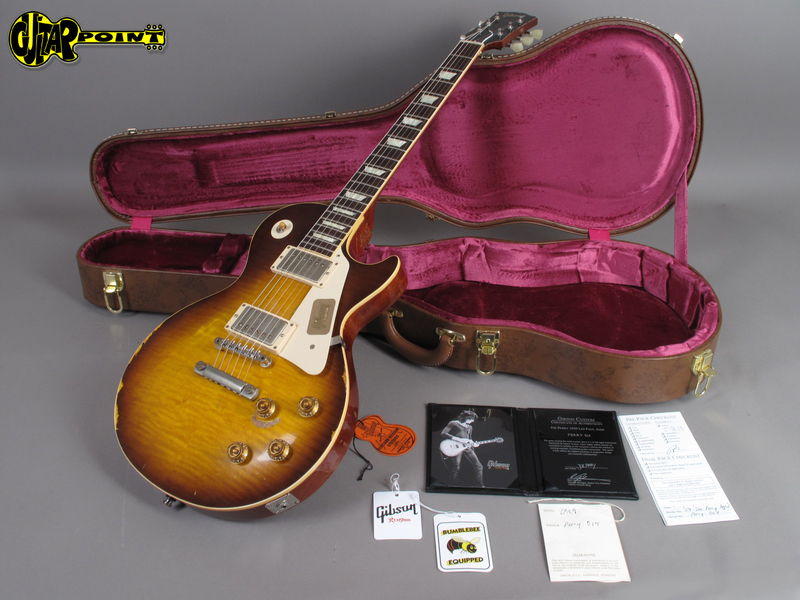 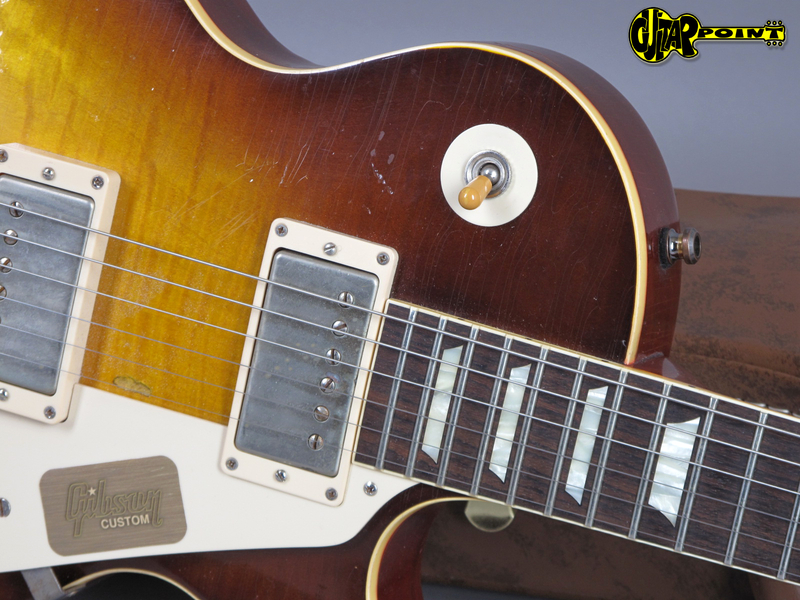 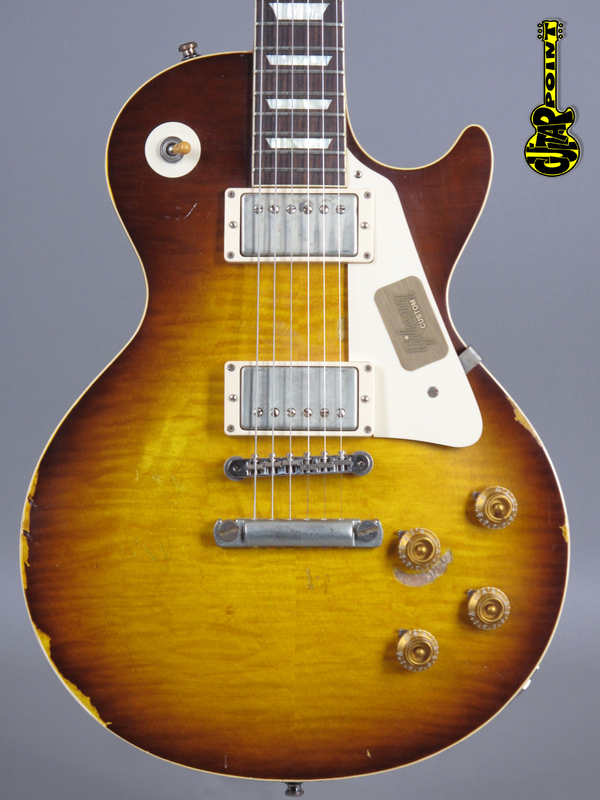 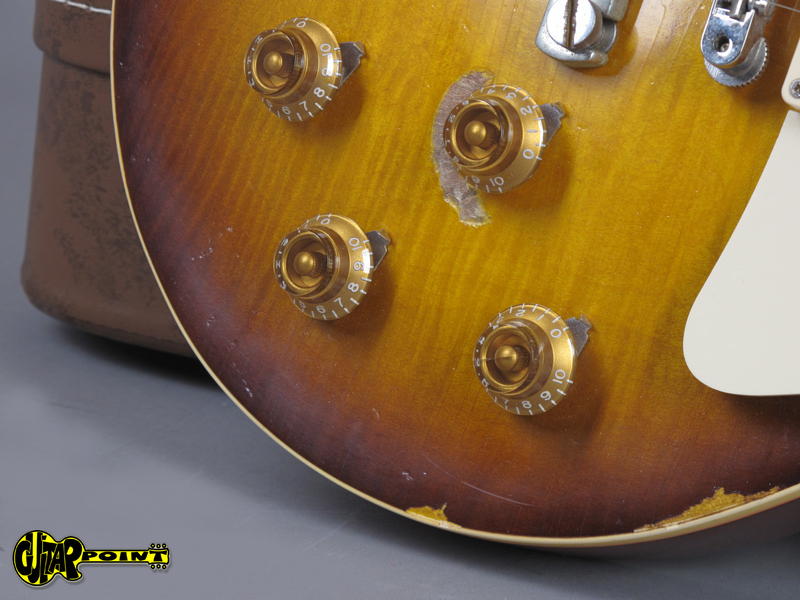 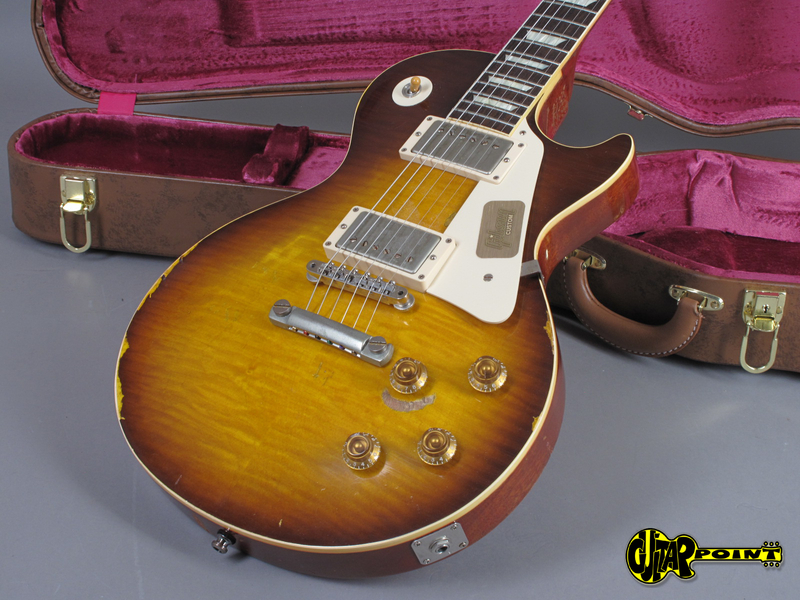 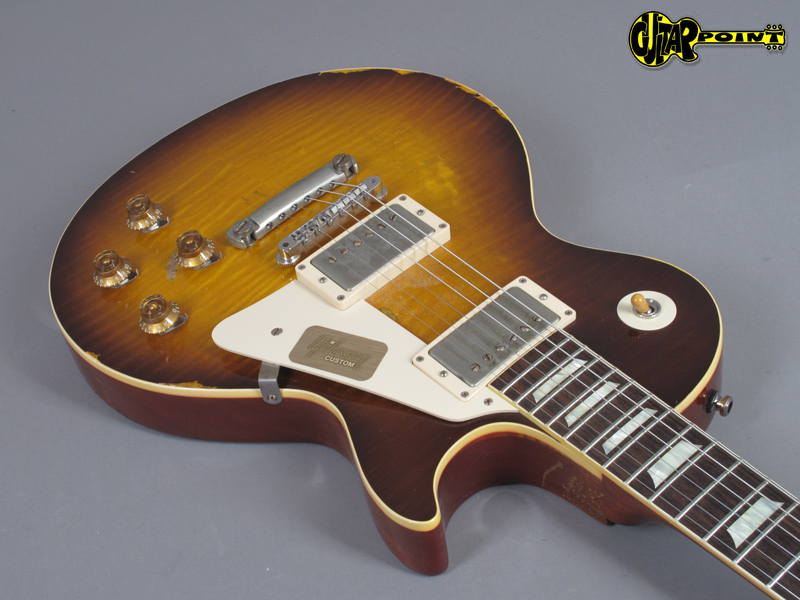 Never played and striaght from a private collection: In 2013 the Gibson Custom Shop created a limited run of those fine replicas of Joe Perrys famous 1959 Les Paul 9-0663. 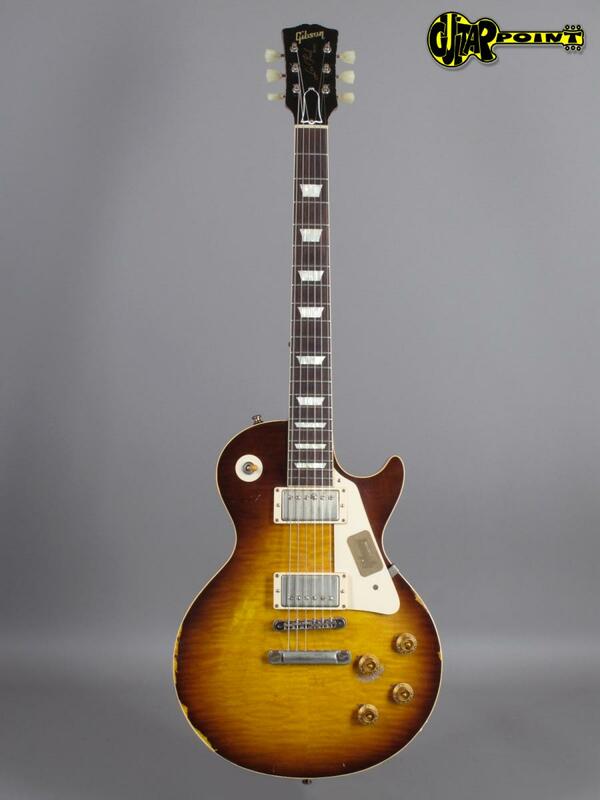 For younger generations: Yes, this is the "November Rain" guitar owned by Slash (who returned it to Joe Perry as birthday present). 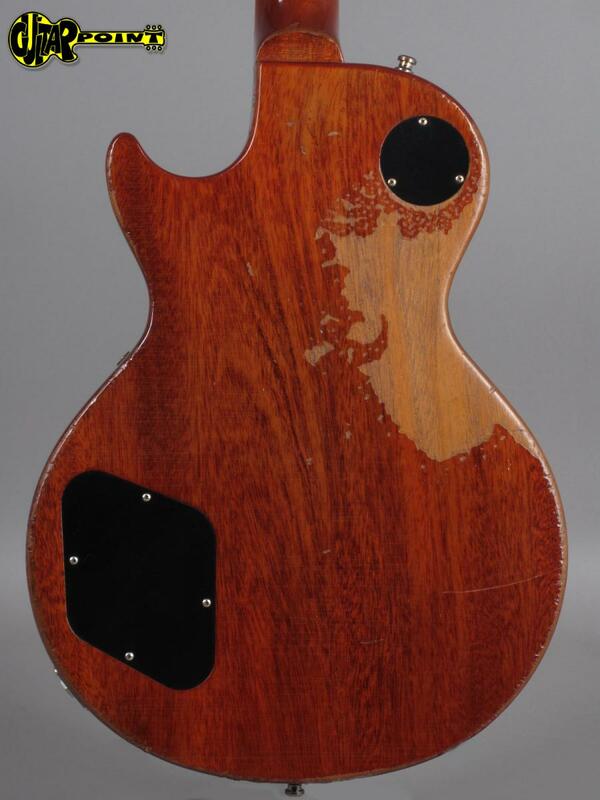 This guitar is the Murphy Aged version which was limited to 100 guitars worldwide, it's got a low serial number (014) and weights only 3,78kg! 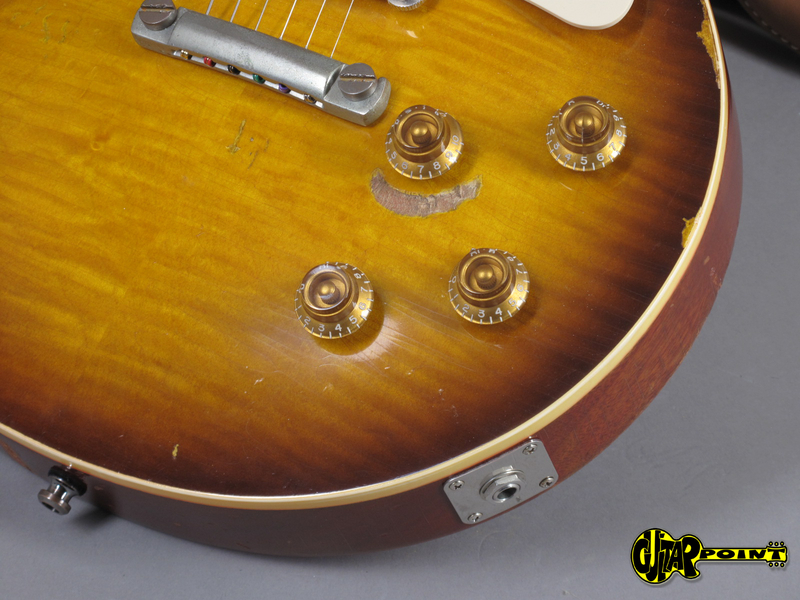 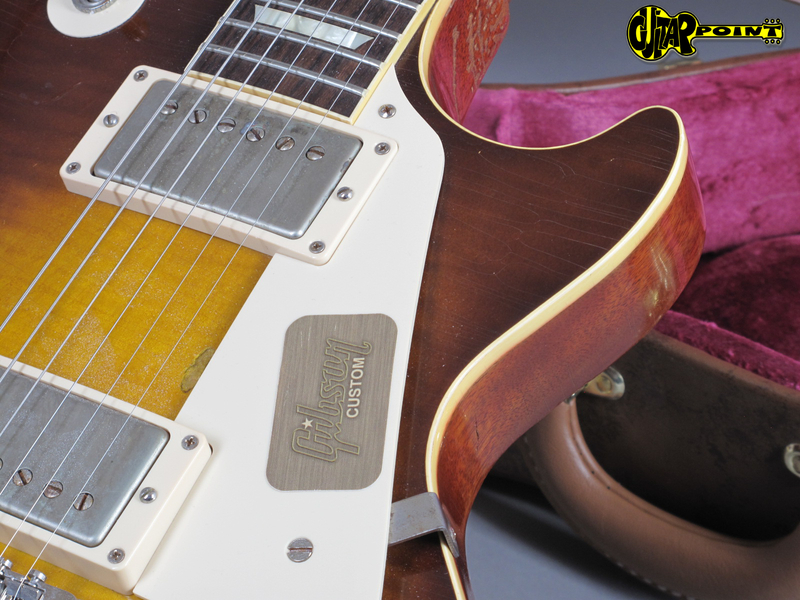 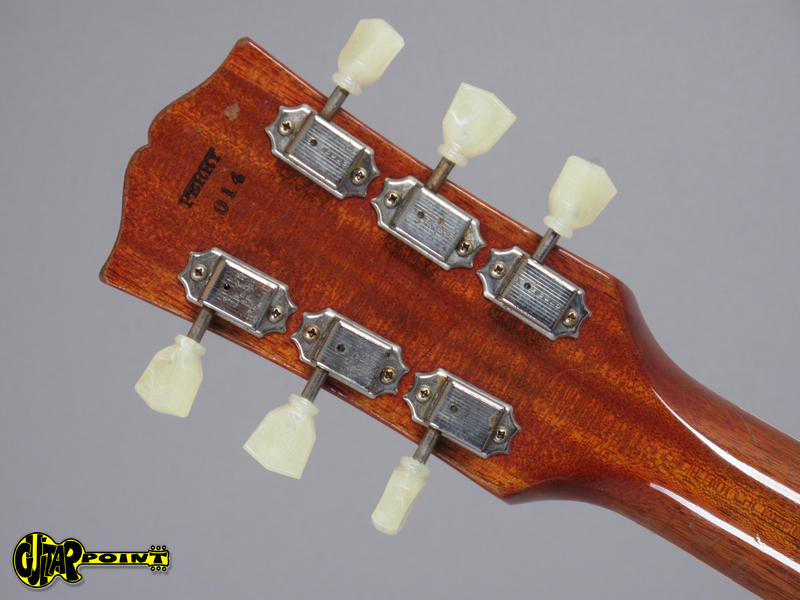 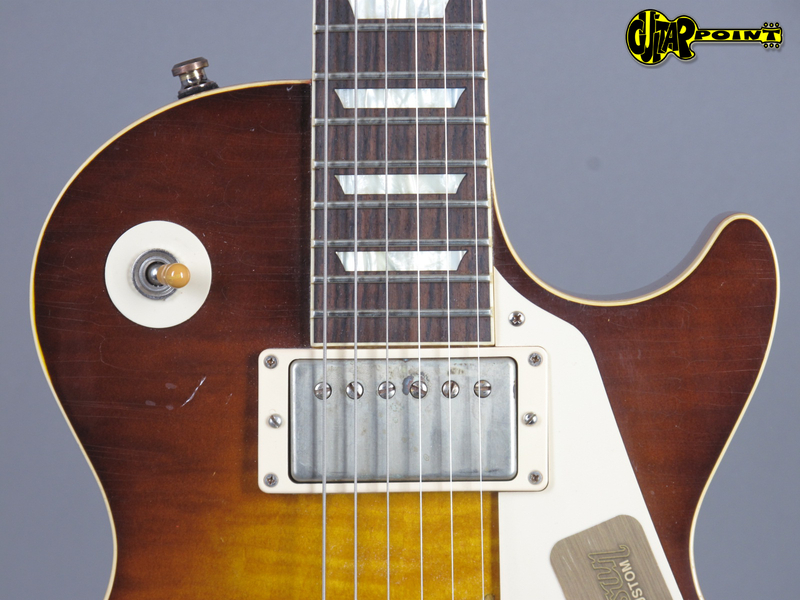 All details from the original guitar - such as the special wear around the neck pickup volume knob - have been recreated and the guitar has a great vintage vibe and tone! 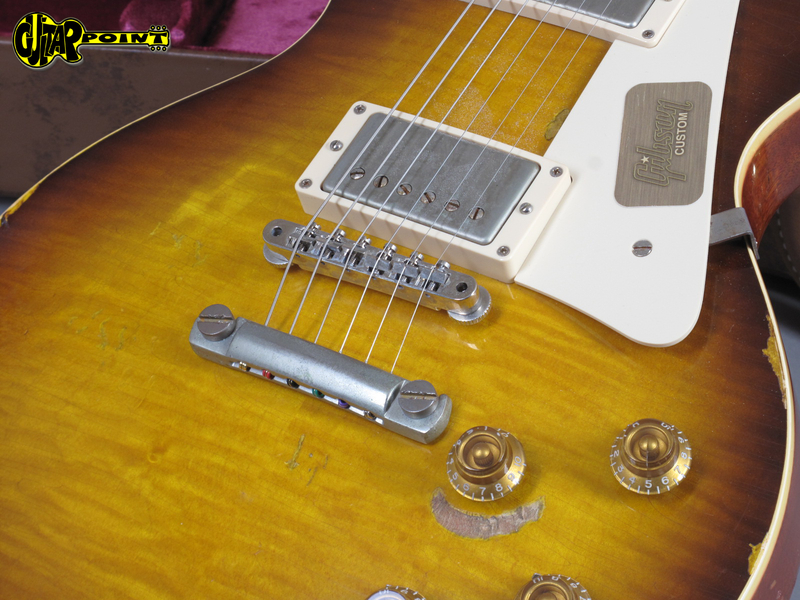 It comes with all original case candy and certifcate of authenticity.